Possibly the most fascinating place I’ve ever been to, Alberobello, which means beautiful tree if translated accurately, is actually not known for its trees, in spite of their broadly living up to the name. 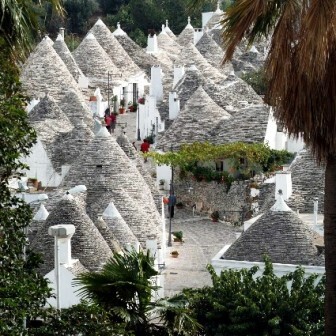 Instead can be found acres of little cone shaped houses known as trulli. 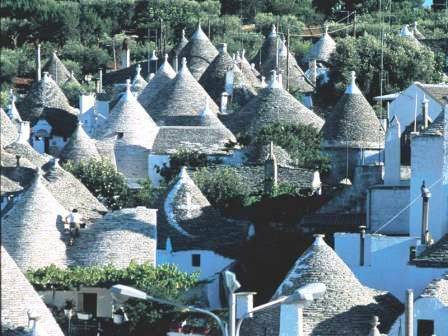 I think it’s where they got the name for that film from, Trulli Madli Deepli, for although it wasn’t shot here, there is, IMHO, only one kind of trullo, and that’s the Pugliese variety. 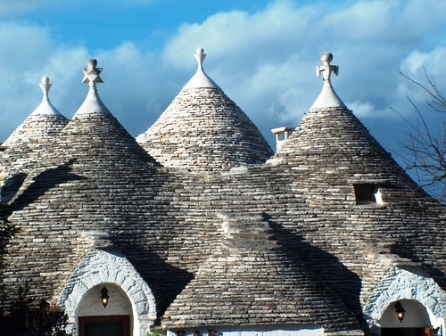 I don’t know much about trulli nor have I done any research, but a few facts (and opinions) shall adorn this page, one of the few on the site where I ungrudgingly let the photos tell the story knowing that the varied rhythms of my prose simply cannot compete. Firstly, they are adorable little dwellings, not all given to fulfilling a function as quaint outlets in which tourists are taken for every Euro they can bear to part with. Most of them are inhabited and prove this by giving their whitewashed arched doorways to country types content to sit and watch the world go by, slowly. 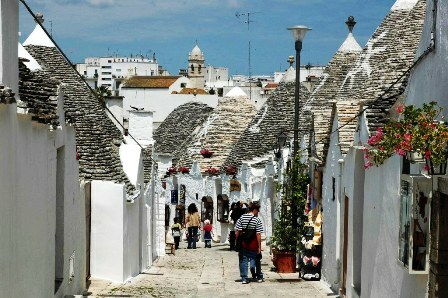 Alberobello vecchio is not so big, a brisk stroll through the poetic streets would last but a few minutes, while the casual more sensibly-paced amble picks up on a world only slightly tainted by modernity. These constructions, erected without mortar are put together in a very short time and have been lived in almost unchanged for centuries. The sheer weight of building materials does not lend itself to use by nomads, therefore I cannot suggest a reason why these houses have such a commitment to their own transience, but what I can say is that despite their lack of permanence, they do represent an unchanging world sidled innocently between the landscapes of a terminally changing world. 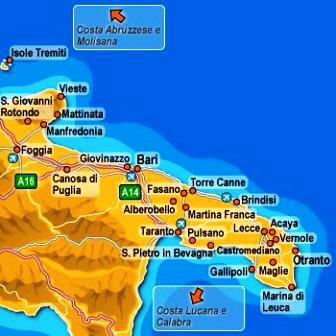 Puglia is one of the more traditional reaches of Italy and not one overwhelmed by modernity, but a few reconstructions (mainly to serve the wealthy emigrating Brits or to act as holiday accommodation) notwithstanding, this is a world very much gone by. A living museum with the later remnants, if I can use that word sociologically, of many generations who have never known any other life. 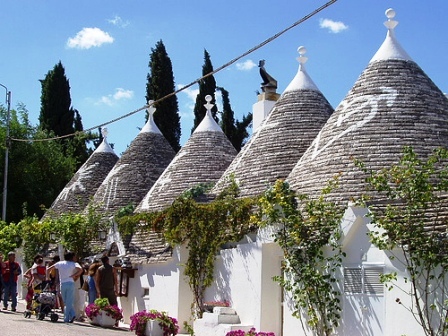 I didn’t take these pictures myself, sadly, I went to Alberobello without a camera many years before I envisaged ever having a website, and even worse, had the site almost two years before it occurred to me to put this page on. I don’t expect I really need elaborate, like I said, the pictures say more than I ever could.